Brugger and Thomet B&T USW-A1 (Universal Service Weapon) 9mm Parabellum/9x19mm NATO Pistol-Type Semi-Auto PDW (Personal Defense Weapon) with Aimpoint Nano Mini Red Dot Sight Combat Optic and Side-Folding Stock! | DefenseReview.com (DR): An online tactical technology and military defense technology magazine with particular focus on the latest and greatest tactical firearms news (tactical gun news), tactical gear news and tactical shooting news. Brugger and Thomet B&T USW-A1 (Universal Service Weapon) 9mm Parabellum/9x19mm NATO Pistol-Type Semi-Auto PDW (Personal Defense Weapon) with Aimpoint Nano Mini Red Dot Sight Combat Optic and Side-Folding Stock! 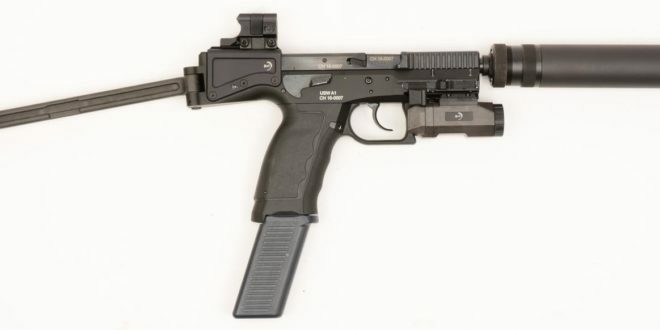 Swiss company Brugger & Thomet AG (B&T AG) recently released info on the new B&T Universal Service Weapon (USW-A1) 9mm Parabellum/9x19mm NATO pistol-type semi-auto PDW (Personal Defense Weapon) with side-folding stock, and the gun looks interesting. The last B&T weapons DefenseReview (DR) covered were the B&T AP556 select-fire assault rifle/carbine/SBR Short Barreled Rifle) and semi-auto-only tactical rifle/carbines that we saw at SHOT Show 2015. We were also shown a B&T 9mm subgun (submachine gun), but we never got around to publishing any info on it for it, even though we shot photos and video of it. Oh, well. Perhaps we’ll look for it. Anyway, in the meantime, we might as well give our readers a heads-up on the B&T USW-A1, as it may turn out to be a good little weapon. 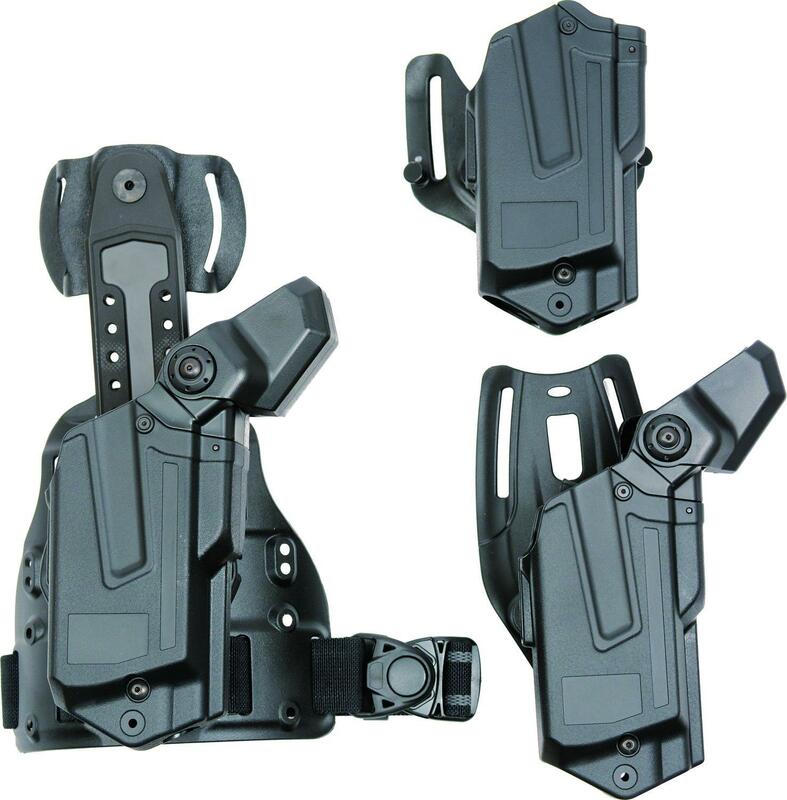 the USW-A1, like any PDW, is designed to give the end-user greater range capability than he/she can achieve with just a standard pistol, and even fight a person with an assault rifle or tactical rifle out to about 100 yards, or even a little farther, all in a package one can carry in a holster on one’s hip or leg (or easily concealed under a jacket). The first thing DR looked for on the USW-A1 is a threaded barrel, which it has, thank God, as that’s a biggie for a PDW. 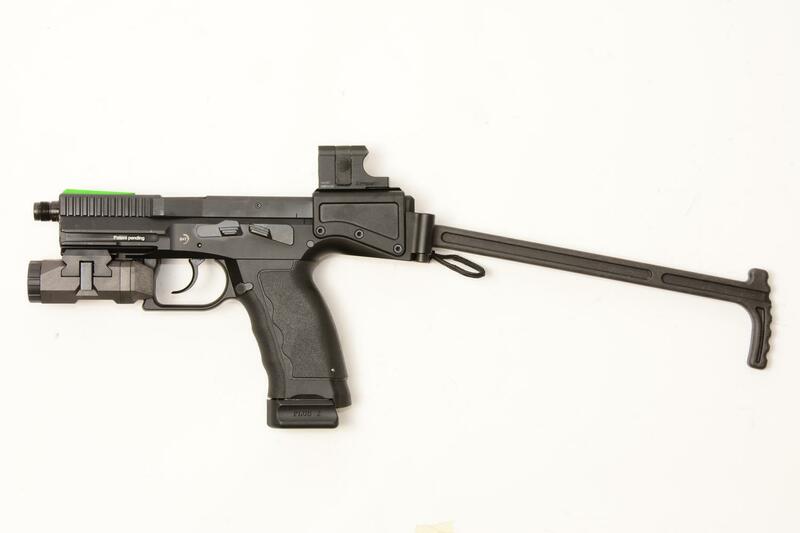 The USW-A1 also sports what appears to be a short MIL-STD-1913 “Picatinny” top rail for mounting an Aimpoint Nano mini red dot sight combat optic, as well as a B&T APL Advanced Pistol Light, which DR would like to see upgraded to a tactical white light/laser aimer/illuminator module, preferably with infrared (IR) laser/illuminator capability for military infantry and SOF (Special Operations Forces) applications. Speaking of SOF applications, we’d also like to see a select fire/full-auto USW-A1 variant developed. 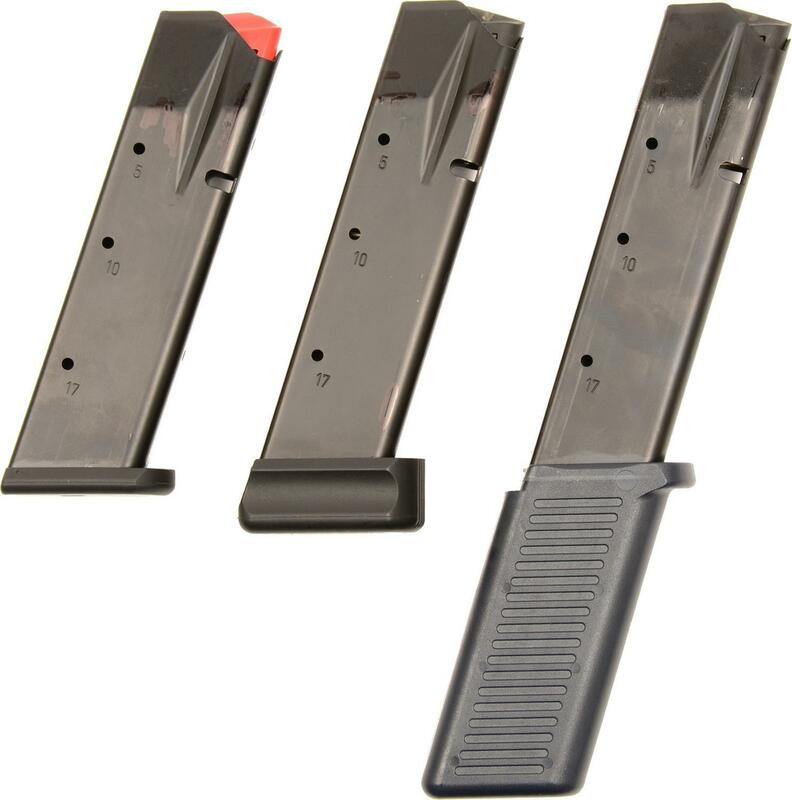 B&T has developed 17, 19 and 30-round mags (magazines) for the USW-A1. 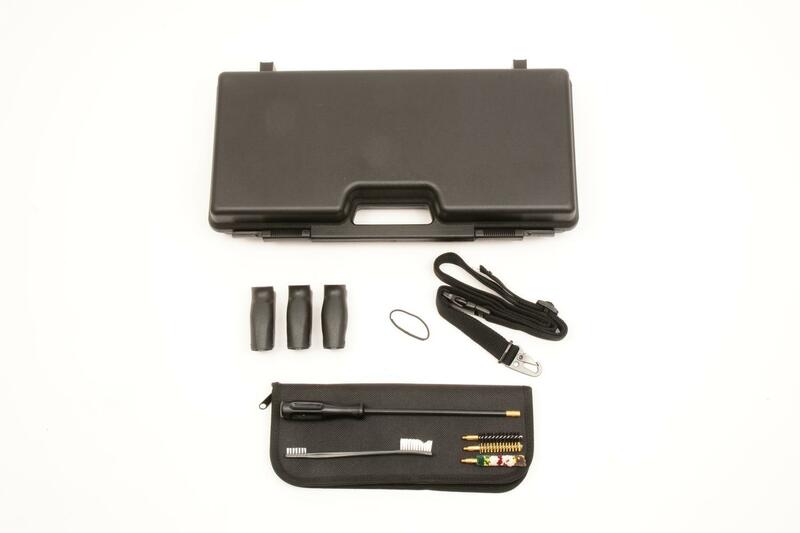 It also comes with a duty holster, cleaning kit, sling, manual, and case. We should perhaps note that the side-folding stock looks very simple, yet robust enough for such a small, light weapon. Defense Review doesn’t yet have any performance data on the B&T USW-A1, but we look forward to obtaining some soon. We’re particularly curious about the quality of the trigger, which we’re hoping is good, and compares favorably with the latest and greatest striker-fired 9mm pistols like the Glock 17/19 (G17/G19), Smith & Wesson (S&W) M&P9, CZ P-10 and CZ P-10 C (Compact), Arsenal Firearms Stryk B, Caracal Enhanced F, etc. We’ll see. In order to react to the quickly changing threats faced by police forces all over Europe, especially those threats presented by Islamic terrorist, law enforcement needs to quickly rethink its armament. The recent terroristic attacks have proven, today’s police side arms are not able to cope with an opponent armed with military assault rifles and bomb vests. The USW will be available in two versions. One with a DA/SA trigger, available in Spring 2017 and one with a preset striker available Winter 2017. 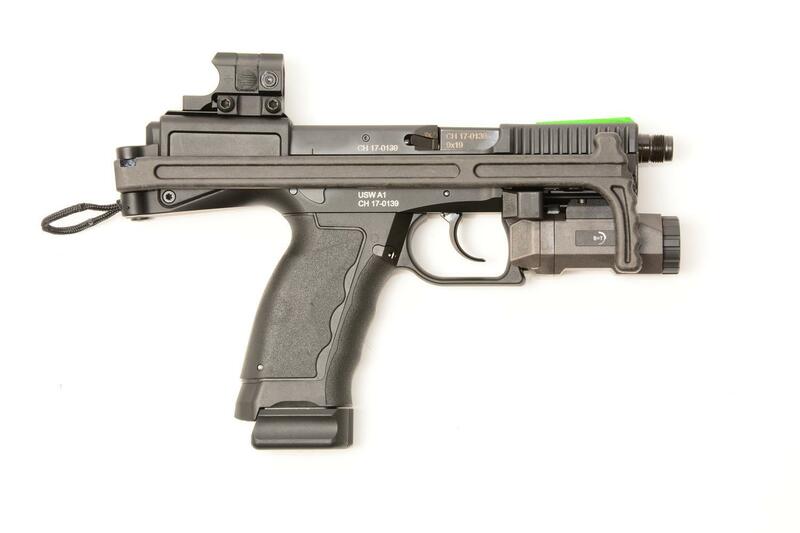 CZ P-10 C Compact Striker-Fired 9mm Combat/Tactical Pistol for Concealed Carry (CCW): Superior to the Glock 17 (G17) and Glock 19 (G19) Pistols? Hudson H9 Low-Bore-Axis Striker-Fired High-Capacity 9mm Combat/Tactical Pistol: Taking the 1911 Pistol Right into the 21st Century!